From the outside looking in Alex played by Ramsey Noah and Gina played by Omotola Jalade Ekeinde appear to have a great marriage. Both are successful within their own rights and living a great lifestyle, however beneath the charade lies insecurity, bullying and physical abuse. Alex is constantly berating his wife and accusing her of cheating on him despite no evidence to support his claims. One night on an evening out her dumps her on a dark and lonely road in one of his aggressive rages. She is honestly scared for her life when a lone car pulls up by her side. It turns out to be Alex who then orders her into the car. It is all part of his controlling mind games, but how far will he go and how far will she be pushed by him? 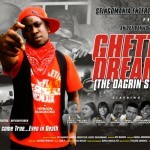 The trailer for Ghetto Dreamz the biopic on the late rapper Da Grin has been released by Stingomania, the producer of the biopic. 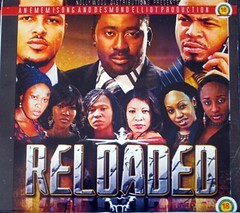 Director, Daniel Ademinokan concluded shooting of the movie around 2am this morning. Daniel Ademinokan directed the movie alongside Lancelot Oduwa Imasuen. The movie features the talented Doris Simeon Ademinokan who will be playing Da Grin’s girlfriend in the movie, alongside Kunle Afolayan’s younger brother and with cameo appearances from the late Da Grin’s father and manager. 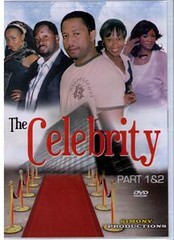 Nollywood Now! 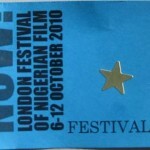 is a film festival currently running in London dedicated to Nigerian popular cinema. There is week long series of screenings celebrating the creativity and energy of the world’s second largest film industry. 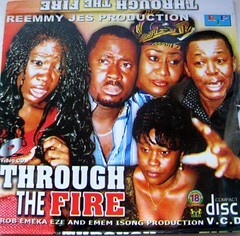 With five feature films and one documentary, Nollywood Now! showcases the drama, tension and excitement of a truly global film culture. Wednesday the 7th of October was the opening night for Nollywood Now! at Deptford Town Hall, in New Cross and opening up the festival was a documentary called Nollywood Babylon. Chidera, played by Tonto Dikeh is a brilliant student who lives with two friends Cynthia and Bukky on campus, played by Bhaira Mcwhizu and Zainab Boardman. While her friends are more interested in socialising than facing their studies, Chidera is the total opposite. 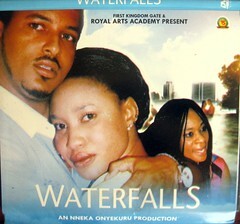 As soon as she meets Brian, played by Van Vicker in class he becomes infatuated by both her beauty and brilliant mind. She, however tries her hardest to fight his advances, but finds herself reluctantly falling head over heels in love with him. This movie explores the complexities, trials and tribulations of their love. 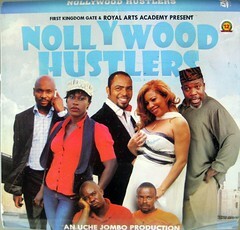 Elvis played by Charles Inojie and Lucky played by Bishop Imoh are two out of work hustlers who want make a movie. With the help of Prince who provides sponsorship they set about trying to make this happen. 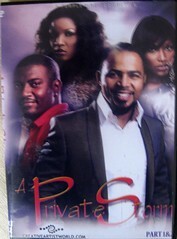 Prince, however is adamant that his favourite stars Mona Lisa Chinda and Ramsey Noah must feature for him to be involved. It becomes quickly apparent to the two that with the budget they are working with that it is going to be virtually impossible. Schola works in a local pepper soup join tand dreams of becoming the next big thing. Elvis and Lucky decide that if they cannot afford Mona Lisa and Ramsey they will make them appear by force and use Schola to shoot the movie vigilante style. We are privy to the private lives behind very public figures. Jess, Uneka and Ini are best friends who are all having issues with their romantic relationships. Evelyn sells bread on the roadside. One day she gets talking to a guy who is one of her regular customers and amazes him with the brilliance of her knowledge. When he finds out that she has dropped out of school and taking JAMB due to financial difficulties it bothers him deeply. It is one day when he comes across the family being evicted by their landlord for non payment of rent that he takes action. He shoulders their burdens by finding them a new place to stay, putting Evelyn’s brother in business and claiming financial responsibility for her schooling. This man seems too good to be true, and slowly find out that he really is too good to be true. Bube and Weyinmi played by Van and Stephanie have been together for seven years and are living together as an unmarried couple. Weyinmi wants to get married and she thinks that Bube does too, but every time the marriage issue comes up he postpones their plans, claiming that it is not the right time. Will he ever marry her?